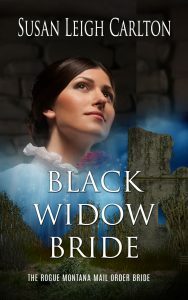 “Black Widow Bride” has now been released and is available here.. It is the most poignant love story I’ve written. Ellie and Gabe are now my favorite characters. It is different from anything I have written to date. Gabe Dolan wanted what any respectable man his age would want: a good income, a loving wife, and a brighter future. When he begins corresponding with Hannah Kaiser, he’s instantly smitten by her kind words and utter devotion to her widowed mother. An invitation to meet, brings her to his hometown of Mountain Home, Montana. Soon, their world-wind courtship turns into the life he dreamed of, but a visit from Pinkerton Agents throws Gabe’s would-be perfect life into turmoil. Six months after the terrible ordeal, Gabe has resigned himself to a life lived alone until a chance encounter with an old friend changes everything. When Ellie Wilson was growing up, she never imagined that she’d one day have feelings for her long-time neighbor, but life had other plans for her. The handsome boy she once knew is now a man. Although their friendship has remained intact, she’s beginning to wonder if there’s something more between them. Can Gabe get over his heartache and learn to trust the idea of love again or has his marriage to Hannah ruined his hopes of finding happiness? Purchase “Black Widow Bride” by clicking here.